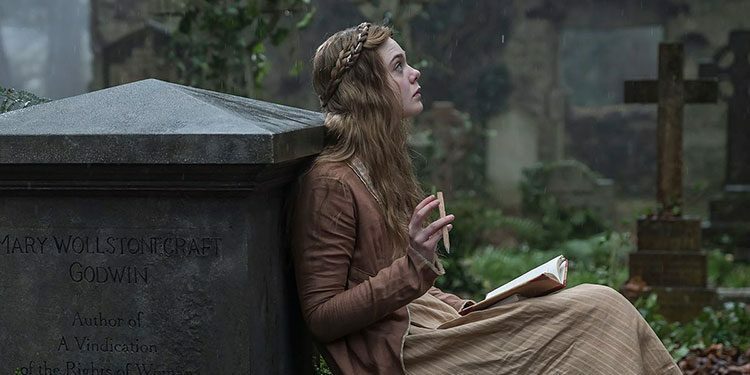 Ellen Fanning stars as the young Mary, who wrote Frankenstein when she still in her teens. Maisie Williams, Douglas Booth, Stephen Dillanem, Tom Sturridge, Ben Hardy and Hugh O’Conor also star in the film. Irrespective of anything else, Loving Vincent is an impressive achievement. It’s the world’s first animated movie that’s ‘fully painted’. 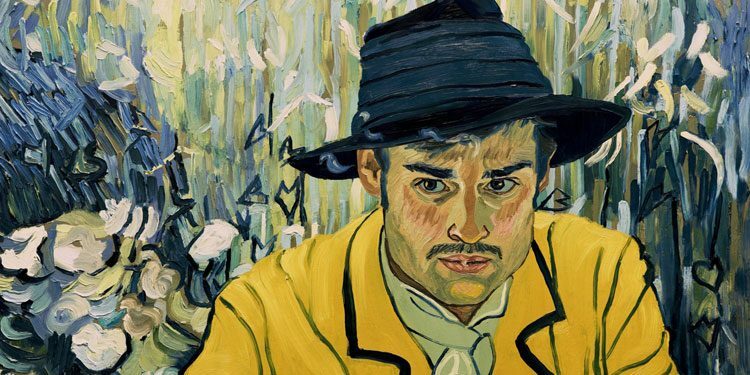 In practice that means that the entire thing was filmed with actors and the using that footage it was later animated by a team of over 100 artists using oil paintings for both the characters and the background – and all done in the style of Vincent Van Gogh. A murderer is stalking the streets of Limehouse in Victorian London, killing viciously and spreading panic. The killer has become known as the Limehouse Golem; named after the medieval Jewish monster made of clay. Police Inspector John Kildare (Bill Nighy) is brought in to investigate, soon coming to wonder whether the killer is the recently deceased John Cree (Sam Reid). This line of questioning introduces him to Cree’s wife, Lizzie (Olivia Cooke), as well as the world of the music hall theatre she used to work at, which is led by comedy star Dan Leno (Douglas Booth). The number of potential suspects continues to grow – at one point even leading Kildare to the door of Karl Marx – especially after the discovery of a book that may be the murderer’s diary. But who wrote it and why? The Limehouse Golem is one of those films that’s close to being great, but from the title – which sounds too much like a fantasy film – to the slightly sloppy way it handles some key aspects of the investigation, there’s a sense that things haven’t been thought through as much as they should have. Director Juan Carlos Medina does a good job with the individual pieces of this murder mystery puzzle, but those pieces never fully coalesce in the way they ought to. That’s not to say it’s a bad film. 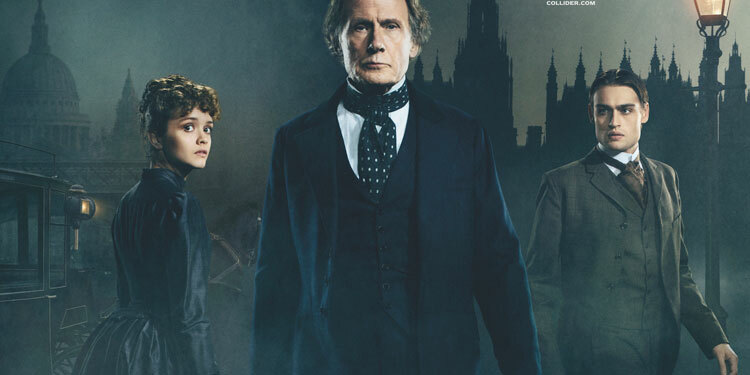 The performances are great, with Bill Nighy turning in a strong central performance as the put-upon Kildare, while Olivia Cooke handles the complex role of Lizzie Cree extremely well, especially towards the end. It’s also good to see Douglas Booth really sinking his teeth into a role. In some movies it’s felt he’s mainly been there to be pretty, but here he brings a nice theatricality and hint of menace to real-life music hall star, Dan Leno. The movie also has a good ending, as even if you figure out where it’s heading it’s nicely handled and retains tension thanks to not just being about who the killer is, but what Kildare is going to do about. However, it’s not quite the crescendo it could have been if what led up to it had pulled together better. What’s also intriguing – and still unusual – is that several of the lead characters may be LGBT. As it’s set in Victorian times, no one comes right out and says it, but there are hints towards the fact Dan Leno, Lizzie, Kildare and his sergeant, George Flood (Daniel Mays), are probably not straight. Some viewers will undoubtedly feel frustrated by the fact that none of this is ever fully resolved, and the film does sometimes feel like it’s being more squeamish about this than it needs to be, especially as hidden sexualities is thematically important to the movie. Even so it’s unusual for a mainstream movie to be based around so many potentially LGBT characters, from Kildare – whose career was derailed by possibly true insinuations he liked men – to the potentially asexual (or lesbian) Lizzie. It’s just a shame it couldn’t be a little more upfront about it. Overall Verdict: The Limehouse Golem is close to being a great slice of Victorian murder mystery, but its ingredients – from the direction to the way it handles the sexuality of its characters – don’t quite come together in the way they might have. Synopsis: ‘A serial killer stalks the Limehouse streets of Victorian London in 1880, the terrified population of this squalid district of the East End believe that the “Golem”, a monster from Judaic mythology, is responsible. Inspector Kildare of Scotland Yard is handed the impossible task of solving these heinous crimes and his investigations lead him on a race across the capital from The Old Bailey, to Newgate Prison, to the music halls of London and the British Museum. His chief suspects are music hall superstar Dan Leno, political agitator Karl Marx, writer and philosopher George Gissing and journalist John Cree. Kildare believes that famed performer Little Lizzie Cree, who is almost certainly destined to hang for the poisoning of her husband, holds the key to the identity of the real Golem. Kildare must solve the case and in doing so, he believes he will save the life of Elizabeth Cree. 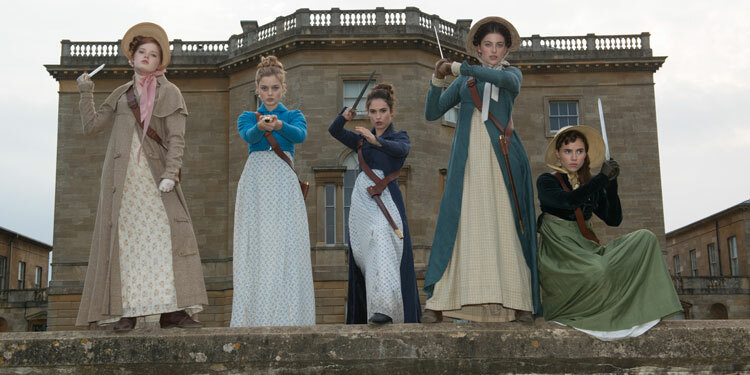 Jane Austen gets an undead mash-up in the film version of Seth Grahame-Smith’s novel, which took the original text of Pride & Prejudice and added in a whole lot of zombies. The movie has had a somewhat troubled history, with various directors and actors coming and going, and with the whole thing looking like they’d given up on it several times. However, finally Lionsgate got it in the can with Burr Steers (Charlie St. Cloud) directing and Lily James and Sam Riley starring.